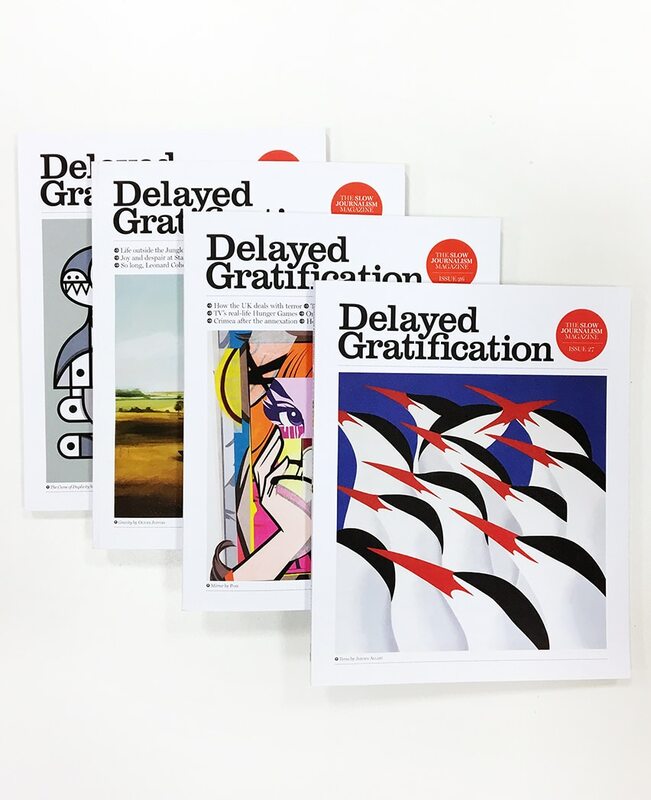 Buy a gift subscription for Delayed Gratification and give a loved one a whole year of Slow Journalism. 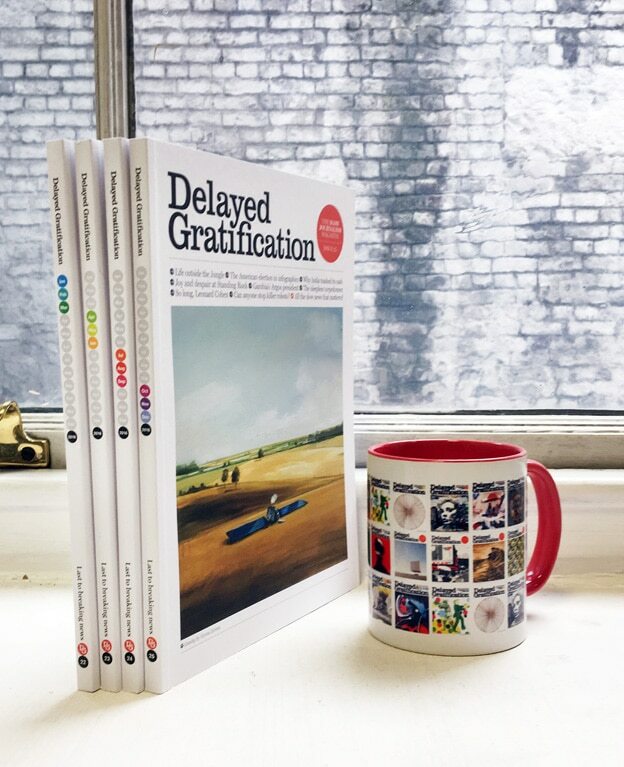 That’s four issues of the magazine, delivered in March, June, September and December, and packed with thought-provoking stories, infographics and photo journalism. Get discounts of up to 50% on tickets to our events and classes, including How to Make Infographics evenings and Slow Journalism Nights. Once you take out the gift subscription, you’ll receive a link to download a Slow Journalism gift certificate. You also have the option to add a copy of the new issue to your order, so you can have something to wrap up and put under the tree too.